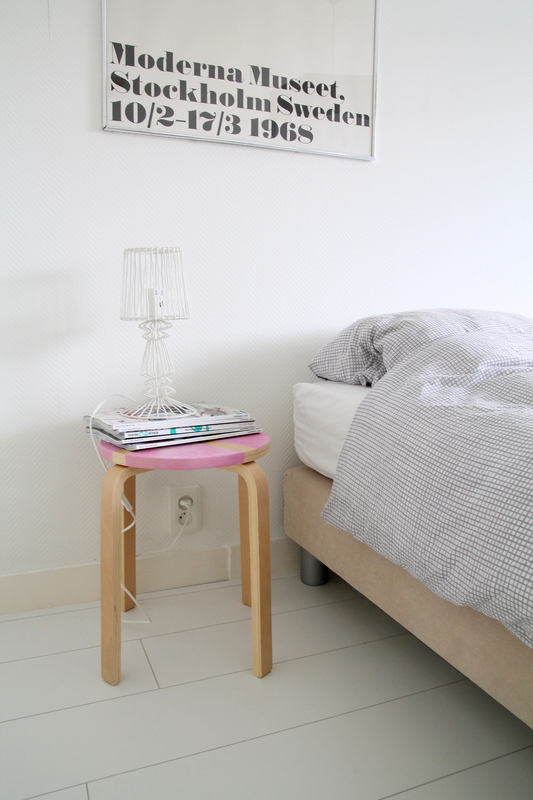 ← donebymyself posters in Dutch magazine VTWonen! 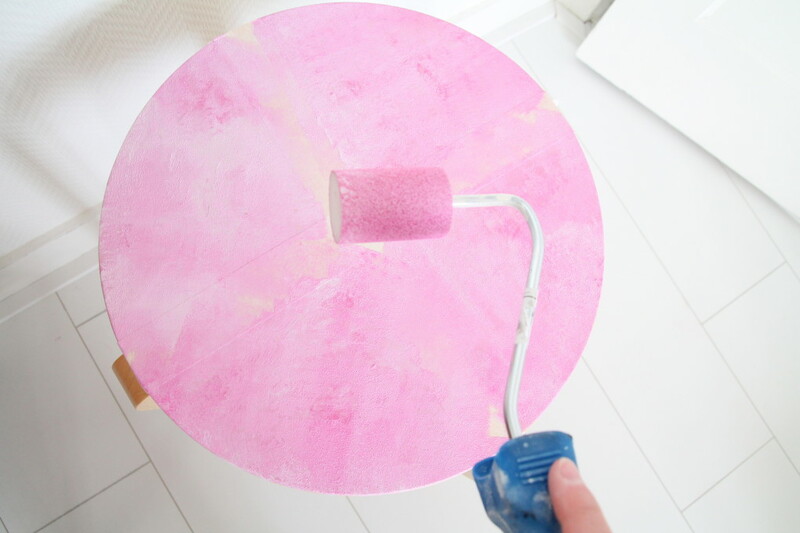 I’m guessing us interiorlovers all have these items in our house that we’re not willing to throw away, but we don’t know what to do with it either. Since we can’t let it go, you gotta turn that item into an “oh boy, where do I leave this thing” into an “that was such a cool DIY!”. So was my IKEA stool. It’s called FROSTA and it was only €7. So I bought it. And then never knew what to do with it exactly. Yeah I do these kind of things. 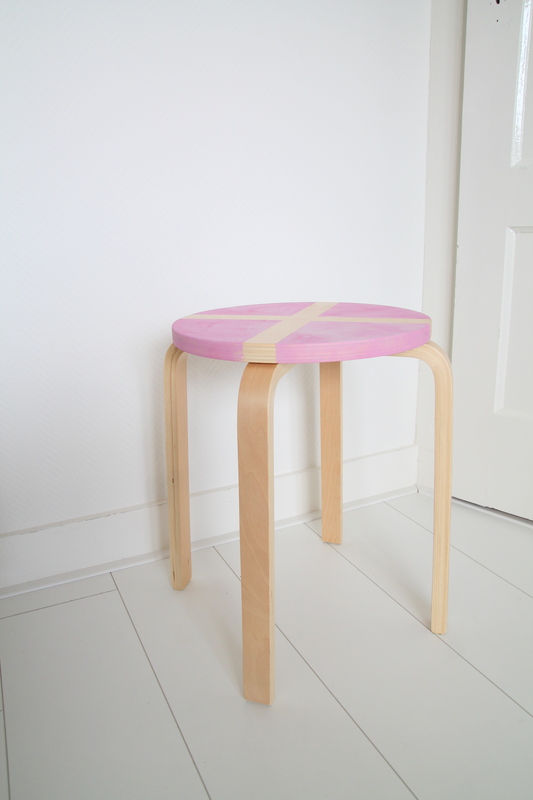 I turned it into an bright pink marbled stool, which is now our nightstand but is obviously also fit for an stool to sit on or next to your couch as a small coffee table. Let me walk you through the steps! I wanted to do a little more than just paint the top, so I came up with this idea. 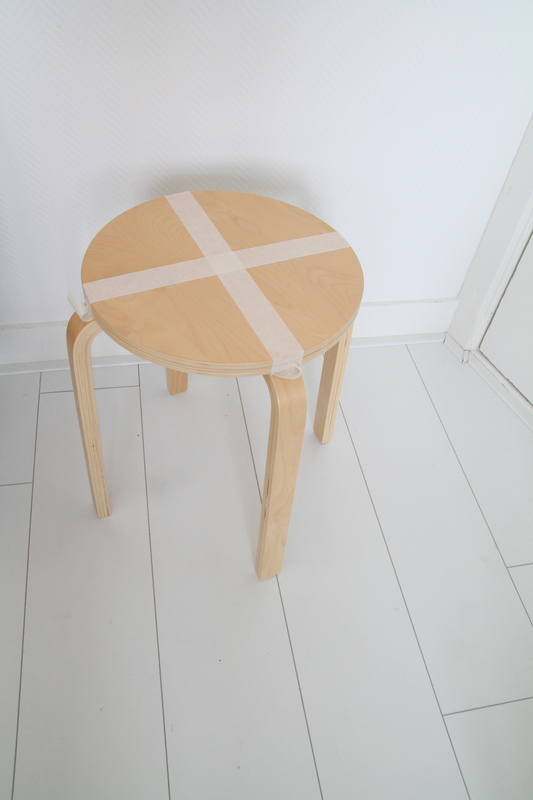 My tape was exactly the size of the stools legs, so I used tape from one side to another. You can off course skip this part if you want to! Pick any color you like, I choose pink and pink. 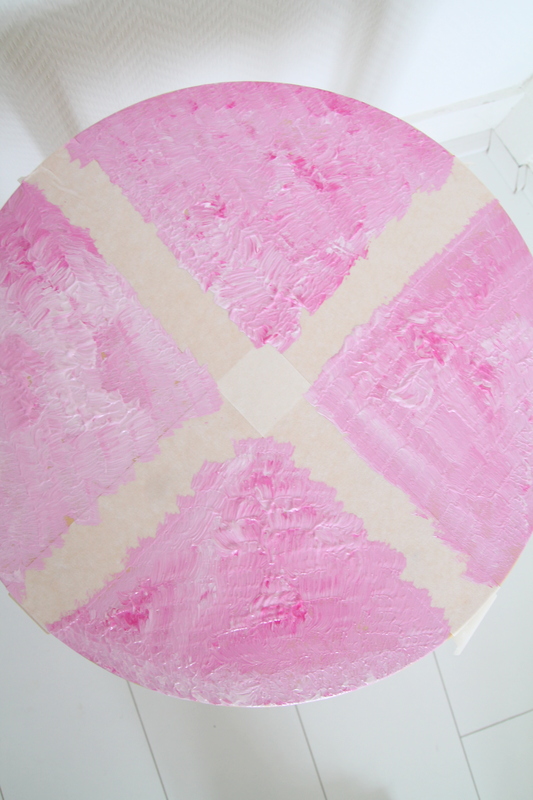 I used acrylic paint. 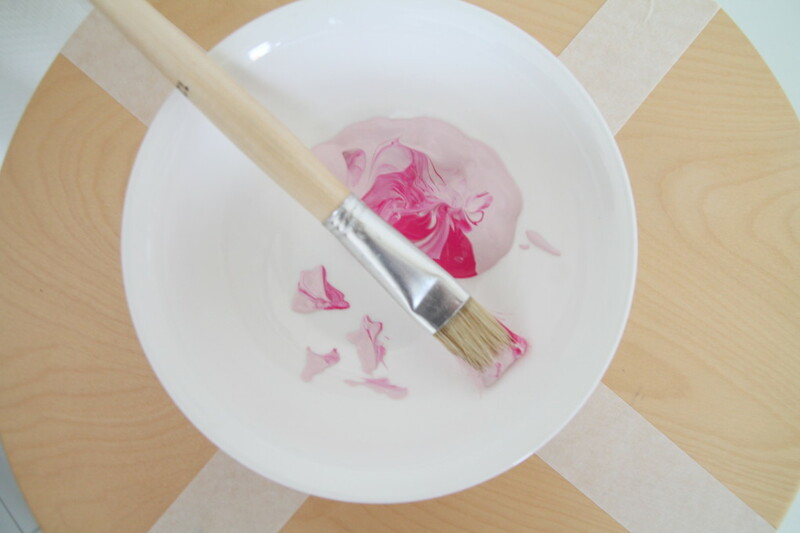 And here comes the trick: do not completely mix the two colors together, but just touch both colors with your brush. See picture above. 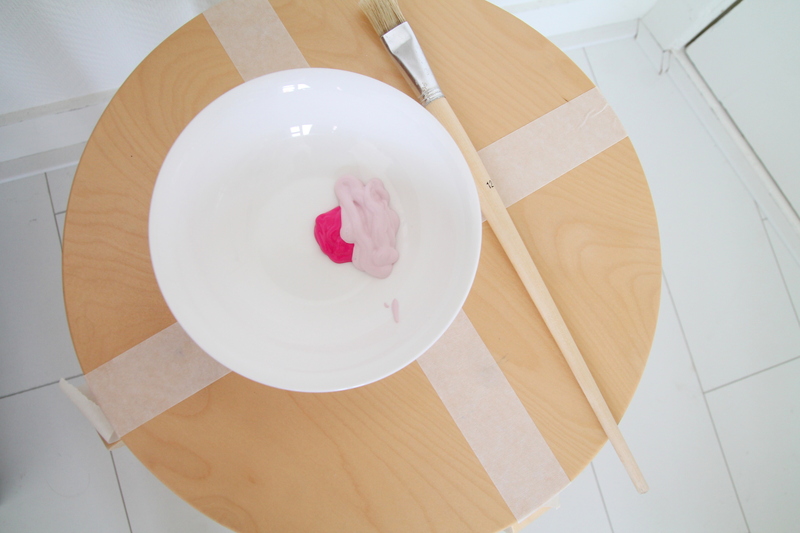 And then you just “tap” the paint onto your stool. Do not blend or make huge gestures, just tap the stool and when your paint is gone, take new paint. Repeat this until you covered the whole area you wish to be painted. This step can be skipped, off course. But I used a paint roller to even out the paint. 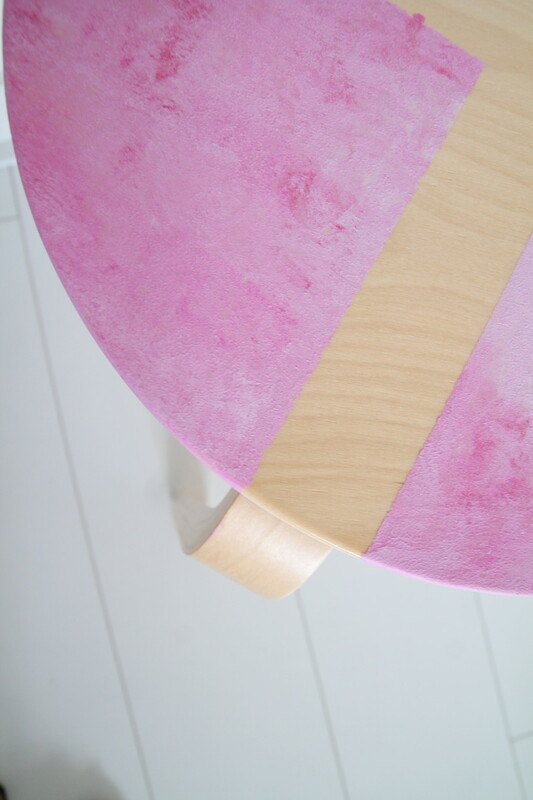 I gives you some sort of pink moon/marble-like effect. I love it! 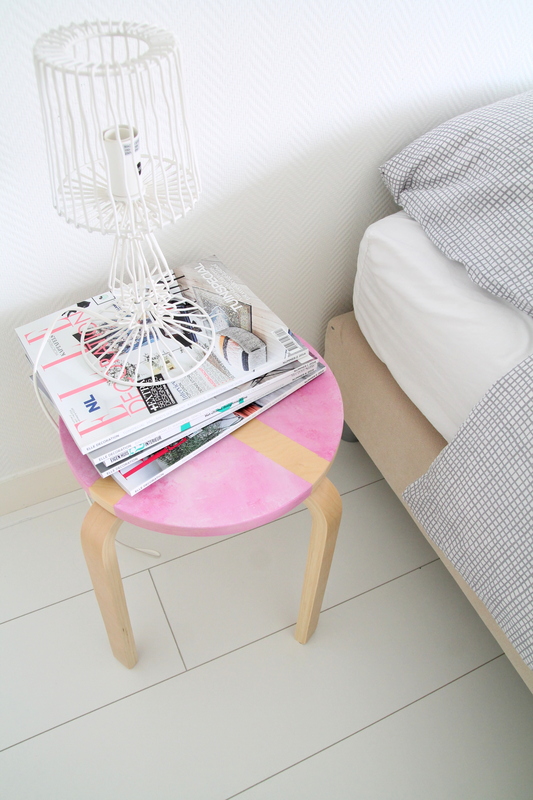 I don’t know if my husband loves his new bright pink nightstand, so my wild guess is this stool will end up somewhere else. But for the picture it’s pretty right? If you have any questions left, do not hesitate and ask! I would love to clear some stuff up for you :-) Have a great day!